RAF Waddington is located south of Lincoln between the A15 and A607. A training aerodrome was first established on the site in 1916, closed in 1919 but reopened in 1926. 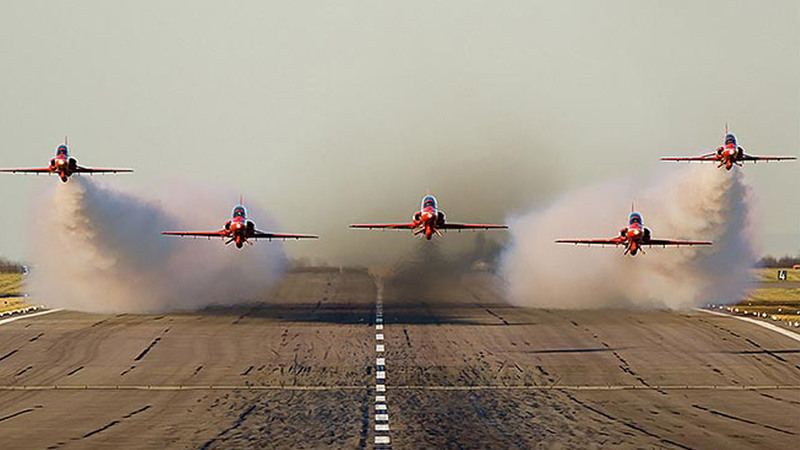 (Red Arrows take-off from RAF Waddington. Pic: Tom Hill). Waddington was home to 503 Squadron which on 1 April 1928, became 503 (County of Lincoln) (Bombing) Squadron. In 1936, the station was reconstructed as part of Scheme ‘L’ with five ‘C’ Type hangars and associated technical and accommodation buildings were constructed to the north-west side of the grass-surfaced flying field. When WWII broke out, Waddington was a bomber airfield in 5 Group and was involved in the war from the very beginning. The two Hampden-equipped squadrons based at the airfield were 44 Squadron and 50 Squadron, the latter moved to Lindholm, South Yorkshire on 10 July 1940. On 1 November 1940, 207 Squadron reformed at the airfield to receive the RAF’s first Manchester bombers. They remained at Waddington until 17 November 1941, when they were transferred to Bottesford, Leicestershire. In Febraury 1941 an element of 207 Squadron formed the nucleus of the reformed 97 Squadron who left for Coningsby on 10 March. On 9 May 1941, both the airfield and the village suffered a disasterous air raid. In the village the church and 19 houses were destroyed by two land mines. On the airfield, five bombs landed, destroying an air raid shelter, killing four and the NAAFI (Navy, Army and Air Force Institutes), seven NAAFI girls and the manageress, Mrs Constance Raven. Today the rebuilt mess is named Ravens Bar in her memory. On 19 December 1941, 420 (Snowy Owl) Squadron RCAF (Royal Canadian Air Force) formed at Waddington, equipped with Hampdens. They later became part of 6 (RCAF) Group Bomber Command on 7 August 1942 upon their move to Skipton-on-Swale, North Yorkshire. Also on 7 August, 9 Squadron arrived from Honington, Suffolk. Initially equipped with Wellington bombers, it converted to Lancasters in September 1942. A few months earlier, on 17 April 1942, 44 Squadron, Waddington together with 97 Squadron Woodhall Spa, equipped with Lancasters, took part in the daylight attack on the factory complex at Augsburg, for which the raid leader, Squadron Leader John Nettleton, recieved the Victoria Cross. The airfield was due to have its concrete runways laid during 1943 so 9 Squadron moved out to Bardney on 14 April. Following 9 Squadron’s move 44 Squadron left on 31 May and construction work began soon afterwards. When the airfield reopened it was with an Australian presence, 467 Squadron RAAF arrived from Bottesford on 13 November 1943. On the 25 November 463 Squadron RAAF was formed from 467 Squadron’s ‘C’ Flight. Both squadrons operated from Waddington with Lancasters until the end of war in Europe. 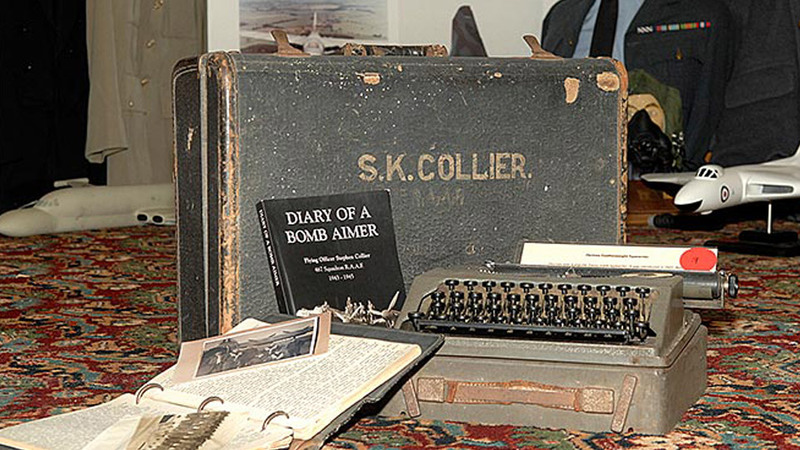 Having moved to Skellingthorpe on 3 June 1945, 463 Squadron was disbanded on 25 September. On 15 June 1945, 467 Squadron moved to Metheringham and they too became disbanded shortly afterwards on 30 September. RAF Waddington would remain a bomber station for many years after WWII. It is still an operational airfield and popular as a venue for the RAF’s annual International Air Show. 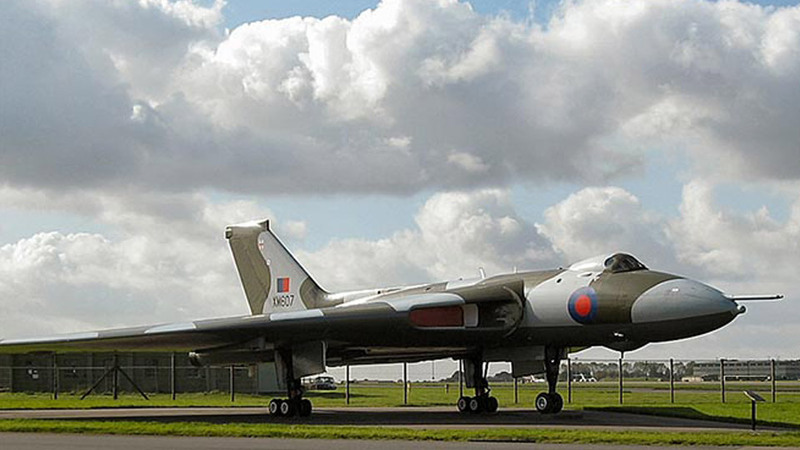 RAF Waddington Heritage Centre is open to civilians and service personnel. Displays travel back in time, from the wreckage of the downed WWII Avro Lancaster PD-259 through to the Vulcan bomber XM607 which stands at the Station’s gate. 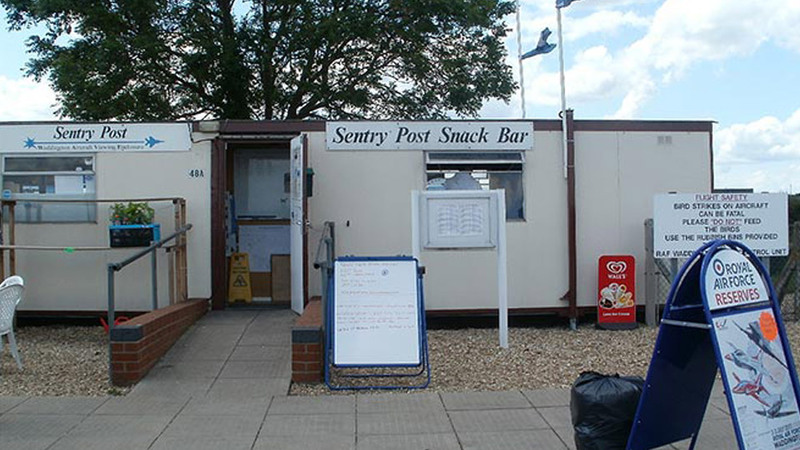 RAF Waddington’s aircraft viewing enclosure is located off the A15 opposite the airfield. The car park is open to the general public for safe aircraft viewing.